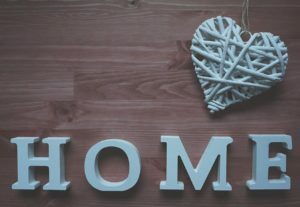 Many home buyers in the Triangle have been waiting patiently! They have been slowly saving their money; preparing, learning, and trying to decide when is the right time to buy a new home. This is the year! Triangle real estate professionals have repeatedly predicted that 2016 will be one of the best years for home buyers in Raleigh and the region. Local real estate professionals consider many factors before determining how the real estate market will be in the future. Here is why 2016 will be a record year in central North Carolina. ​More houses will be on the market: One important local real estate trend in 2015 was the selling of homes that had positive home equity. This created a seller-friendly real estate market. It also, at times, increased the likelihood of a multiple buyers for one property which in turn solidified the asking price. More homes will be available in 2016. Mortgage rates might increase in the coming year: While current mortgage rates are still some of the lowest in history, it is expected that the rates will likely rise. While it will still be possible to have historically affordable mortgage rates, buyers will be looking soon for a home. Average rent rates are on the rise: Over the past several years, the average rent has risen for apartments, town homes, and rental homes all across the Triangle area and nation. With those rising rates, it is becoming more and more apparent that the best financial choice for many people in the Triangle is buying a home. The availability of online tools: The access of information that the average Triangle home buyer has today is incredible, both in volume and accuracy. Buyers and sellers are more informed than ever. One such tool offered is our own from Flat Fee Realty, an online MLS listing service that enables home buyer and home sellers to bypass the expensive fees of realtors. In 2016, buying or selling a home in the Triangle area has never been more defined as a process. Call us at Flat Fee Realty! With value-based fees, easy to use interface, and a service track record of success when it comes to buying and selling houses; Flat Fee Realty is the smart choice for home buyers and sellers. Visit our website to get started today. Fall has arrived in Raleigh! Most Triangle homeowners welcome the cooler temperatures, but they sometimes bring a more relaxed real estate market. For this reason, some sellers contemplate renting their home, especially in popular neighborhoods, instead of selling. 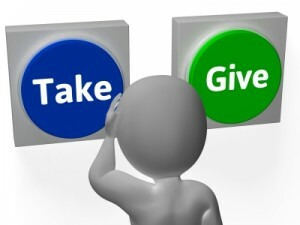 However, there are several important considerations to carefully weigh prior to making such an important decision. Every market is different: In general, home inventory is lower in autumn relative to the number of buyers out there, and rental demand is high due to the continuous growth of the Raleigh However, the real estate market is hyper local, and varies from one neighborhood to the next. To get a clear picture of the optimal sales price or rental rate, it’s important to consult with our Flat Fee team, each agent has the important information sellers need here in the Triangle. Assessing financial goals: Home values have been on the rise for some time, so selling will probably free up some cash for many homeowners who decide to sell. Conversely, allowing a tenant to pay down the mortgage while the home continues to appreciate (and hopefully generating some cash flow in the process) can be very appealing. 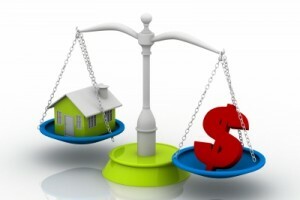 Risk tolerance and the ability to carry two mortgages will play a large part in the decision. Taking the plunge: Not everyone is cut out to deal with tenants, and that’s okay. Hiring a professional property manager can alleviate a lot of the stress and time demands of being a landlord, but it comes at a price (think 10% of gross monthly rent). However, it will not get you out of the financial commitments. Having a decent amount of cash in reserve to finance major and minor repairs is non-negotiable. For home sellers, the fall season and upcoming holidays aren’t always cause for celebration. It can mean access to fewer buyers, more time on the market, and a potentially (although not always) lower sales price. Like everything, becoming a landlord has both pros and cons. For home sellers who see real estate investment as a portion of their long-term financial strategy, it can be a great move. For everyone else, selling is probably the way to go. Want to find out if selling your home is the best move? Flat Fee Realty can help! Contact us today to get financially solid, market-based advice on buying and selling. 4 Points Triangle Buyers Must Ponder About Buying a Home As-Is! In today’s Triangle marketplace, due to changes in the Standard Offer to Purchase and Contract, many homes across the region are listed for sale in as-is condition. In this situation, the home seller is not required to make any repairs, and it is the buyer’s job to determine whether to proceed with the purchase. However, purchasing a home in as-is condition is something that many buyers (especially first-timers) misunderstand. Listing a home “as-is” benefits the seller: By listing a home in as-is condition, the seller is expressing an unwillingness to make repairs. Maybe the owner can’t afford it, or maybe it is the challenge of the back and forth of repair negotiations. Whatever the reason, the seller is released of responsibility (and in most cases, liability) for the condition of the home. Determine risk tolerance: Buyers of as-is homes are often attracted to the comparatively low price as compared to a home in perfect condition. Buying any home is costly, and contains some element of risk, but buyers need to be sure that they understand the risks and are able and willing to make necessary repairs (sometimes immediately). 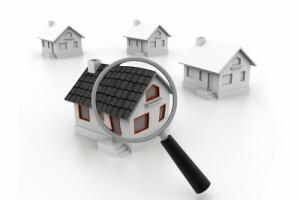 Use the due diligence period wisely: Today, when purchasing a home, what people see is what they get. Buyers will generally receive a property with no guarantee that is free from problems. The importance of using the due diligence period to obtain professional inspections cannot be overstated. However, even the most experience inspectors will not uncover every single problem. Have a plan for repairs: If buyers have neither the cash nor the skills to make almost any type of repair, they may want to avoid an as-is home, and seek a property where repairs by the seller can be negotiated. If a buyer has carefully analyzed the seller’s disclosures and inspection reports, researched repair costs, and determined the home is a fit; it creates a solid plan for repairs (placing a priority on anything unsafe, and a lower priority on cosmetic issues). Real estate transactions can be fraught with minefields for both buyers and sellers. Need help navigating the process? Flat Fee Realty can help! Contact us today to get straightforward, to-the-point information on buying or selling. 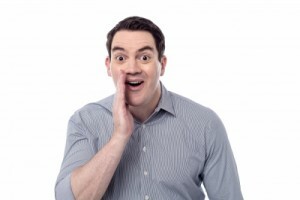 The Truth Behind Open Houses Listing Agents Never Share! Drive around a Triangle neighborhood on almost any weekend and it’s typical to see a multitude of signs advertising open houses. It is understandable, with these common events, that many home sellers believe open houses are just marketing tools provided by listing agents. However, in direct contrast, a 2014 survey by the National Association of Realtors found that less than 10% of buyers found the home they would eventually purchase through an open house. What is their true purpose of open houses? Below, the agents at Flat Fee Realty share three of the best-kept secrets in real estate. Open houses are new agent training grounds: In the real estate business, it is common knowledge that new agents want to build relationships with more experienced and successful agents, and they often will offer to host their open houses. It allows them to get in front of potential buyers, learn the neighborhoods, and brush up on market trends. Open houses help build client databases: Many buyers attending open houses are just beginning their home search and may be unrepresented by a buyer’s agent. With minimal effort, the hosting agent can establish a relationship and perhaps end up representing one of these buyers. If these buyers have a home of their own to sell, it’s a double bonus for the agent. Open houses are less important than ever before: The heyday of the open house was years ago, when real estate websites didn’t exist and people only had access to listings from licensed real estate agents. These days, with Google and smartphones, the vast majority of buyers turn to the Internet for their initial home search, only visiting properties that have been carefully researched in advance before a visit. Besides the hosting agents, there is one other group that benefits directly from open houses. They’re affectionately known in the industry as “Lookey Loos” and they are those individuals or couples who enjoy spending a beautiful Saturday or Sunday peeking into homes that they have no intention of purchasing. It is important to note that home sellers intent on finding the perfect buyer for their property, might reconsider the open house. Want to know how to avoid paying an agent for services you don’t actually need? Our experienced agents at Flat Fee Realty routinely help home sellers in Apex, Cary, Raleigh and beyond, choose the services they need and want. Contact us today to find out whether a flat fee, limited service, or full services listing is right for your home! This post on selling and buying a home in the Triangle is brought to you by the team at Flat Fee Realty and is intended for informational purposes only. The Future of Real Estate! The Triangle real estate market is hot as August in Raleigh right now! But the market can slow down a bit as we head into September and October. While a slowing market doesn’t always translate to lower home prices, some owners decide to sell their own homes (For Sale By Owner/ FSBO) without agent assistance in the hopes of saving a few (or thousands) of dollars. Know limitations: Selling a home by owner requires a certain skill set. Everyone’s personality is different, so before taking on the challenge, be honest and determine if going FSBO is the right fit. Being a hard worker, a strong negotiator, good with people, and unemotional are all extremely important. Time and plenty of it is needed. Dedication to selling is paramount. If this sounds even remotely challenging, contact one of our Flat Fee Real Estate agents for guidance, expertise and support. Manage expectations: Most people who decide to sell on their own anticipate saving a huge amount of money by avoiding paying commission to a listing agent. While it is possible to save some money, it’s usually not as much as anticipated. Smart buyers will know that an owner selling without an agent is saving on the commission, and will reduce their offer accordingly based on that fact alone. Assess the competition: Yes, many buyers will want to change things when they move in, and a few of them might be willing to put in a little work if a home needs repairs or updates. By and large though, buyers want every home to show like a new home. 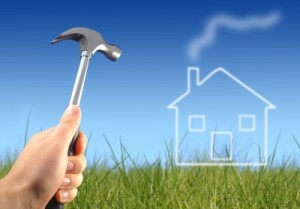 The extent to which a home should be updated or repaired depends on the competition. Either match it (doing the minimum to meet neighborhood standards), or lower the price accordingly to attract potential buyers. These three “must-know secrets” will set potential FSBO sellers on the right path, but perhaps the biggest selling top-secret tip for those wanting to sell a home themselves is to consider a flat fee listing. Our Flat Fee Realty agents offer all of the major benefits of working with a full-service real estate firm at a fraction of the cost. Wondering what flat fee service entails? The experienced agents at Flat Fee Realty are available to answers all of your questions. Contact us today to find out if a flat fee listing is right for your home! This post on selling and buying a home in the Triangle is brought to you by the team at Flat Fee Realty and is intended for informational purposes onlThe Future of Real Estate! Whether buying or selling (or both), the hectic days leading up to closing are fraught with anticipation, excitement, and often a good dose of apprehension. There are so many moving parts to a real estate closing, and so much money on the line, that it is not uncommon for a variety of problems to arise at the last minute. Unresolved issues, whether small or significant, can delay closings by hours, days, or even weeks. It’s all in the details: There’s a mound of paperwork involved in an average real estate transaction. With pages and pages of documents, there’s bound to be an error somewhere. A misspelled name, transposed number, or incorrect address can necessitate a rewrite, delaying the closing until everything is in the right order again. It is a good idea to double check all the documents as far in advance as possible. Don’t be afraid to question anything that seems incorrect, confusing or odd. Insufficient funds: Having the funds in advance for a down payment is essential. Issues involving a wire transfer, a bank holiday delay, a technical glitch, or someone not getting the funds together and placing the money where it needs to be, closing can be delayed or rescheduled. . Remember, personal checks aren’t accepted, so make sure to use a certified or cashier’s check, or an electronic transfer. 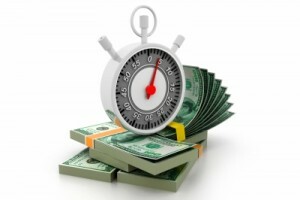 Last minute lender requests: Documentation is critical. Loan and mortgage lenders will ask for additional information up to the last minute. Rental agreements, bank statements, cancelled checks, and insurance documents are all important documentation. Try calling the loan officer the day before closing, to see if there are any problems or if there is the need for additional information. Unsatisfactory walk-throughs: On the day before closing, a buyer typically views their (almost) new home one more time to ensure everything’s in satisfactory condition. Sometimes unfortunate discoveries are made: bags of trash left behind, missing fixtures, damaged walls, and items removed without permission which can create last minute issues. In these cases, the buyer’s agent should address any issues with the seller’s agent immediately. It is important not to wait until closing. If it’s too late for the fixes, repairs or changes, a seller credit towards closing fees could be negotiated making closing possible. While there are many reasons a closing can be delayed, most of the solutions have one thing in common: waiting until the last moment. Remember, the more that can be done in advance, the better. 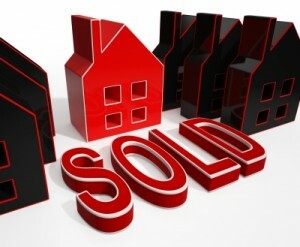 With everyone’s cooperation, it is possible to have a quick and smooth real estate transaction! Whether looking to buy or sell a home in the Triangle, let our experienced agents at Flat Fee Realty be there to make everything right. It’s no secret that the real estate market in Raleigh, Cary, and beyond is getting stronger each month. The upswing of sales prices may have home sellers becoming a little complacent, which is a huge mistake. Regardless of the market, sellers need to focus on maximizing their equity as soon as their house goes on the market. The real estate agents at Flat Fee Realty know that there are several common yet costly mistakes that North Carolina home sellers make. Ignoring fees and closing expenses: Request, review, and confirm an itemized list of closing expenses well in advance of closing day. Clear up potentially costly mistakes and ensure that credits and discounts are taken advantage of before hitting the lawyer’s office. Letting negotiations fall apart: Buying and selling a home is an emotional process, but don’t let ego get in the way. Instead of taking negotiations personally, step back and focus on creating a win-win deal. Failed negotiations mean extra time on the market, increasing the likelihood that a price reduction will become necessary. Using poor quality photos: These days, almost all home searches begin online. It’s amazing how many otherwise great homes have terrible, low-quality, cell phone pictures in their listings. There’s no second chance for a first impression, so make every effort to have the home professionally photographed. Not working with a licensed real estate agent: The numbers are clear. Owners who sell their own homes usually will take longer to sell and end up with less profit. However, don’t assume a full service agent (and full service commissions) is the only option. Flat fee and limited service agents can be a great option for some sellers. Low interest rates from buyers, rising sales prices, and a busy summer real estate season sounds like a perfect combination for homeowners considering selling. That’s true, if sellers learn to identify and eliminate mistakes that could end up costing thousands. 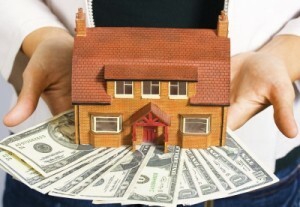 Looking to get the most money out of your home? It literally pays to do everything right. The experienced agents at Flat Fee Realty are ready to show you the ropes. Contact us today! Buying and selling real estate can be a painstaking, confusing process where the potential for error is high for novices and experienced individuals alike. Unfortunately, even the most innocent misstep can end up costing thousands of dollars. The art of negotiation is an important one to master, even if North Carolina buyer and sellers have a real estate agent as their advocate. Misunderstanding purpose and situation: Everyone negotiates differently, but an important part of any successful strategy is gathering as much information as possible. Personality, occupation, experience, and background are all factors in understanding a buyer or seller, and crafting a deal they can’t refuse. Focusing too much on price: There are other crucial elements in a real estate deal besides the purchase price, and ignoring these can cause last minute delays. Don’t make assumptions about fixtures, financing, or closing costs, and make sure every detail is spelled out it any written agreement. Being difficult and bad-mannered: Many people forget that there is real value in being nice. Residential real estate transactions are inherently emotional, so avoid hostile tactics like bullying, non-essential deadlines, and being heavy-handed. Letting little things become deal breakers: With so much money on the line, it is surprisingly easy for both buyers and sellers to fixate on things that in the end aren’t really that important. Don’t let a deal fall apart over curtains or minor repairs. Making it personal: At the end of the day, a home sale is just business. When things start to get emotional, buyers and sellers should take a step back, detach, and relax. Keeping in mind the big picture and ultimate goal of home ownership or sale will help smooth over any rough patches. Well-honed negotiation skills are the essential tools of any successful real estate agent, and they contribute significantly to positive outcomes for both buyers and sellers. Luckily, the experienced agents at Flat Fee Realty are prepared to help clients execute the best possible deal. Contact us today to find out how we can quickly and strategically get buyers and sellers from making an offer to closing a deal!